« To Thine Own Self Be True. Fire Your Inner Hitler. 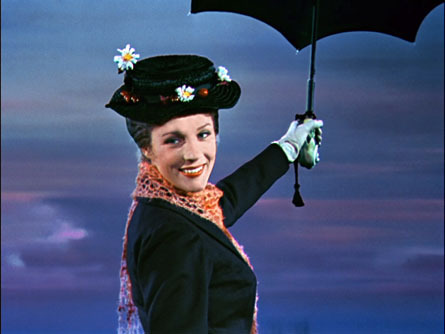 Hire Mary Poppins. Today we ask that you stop punishing yourself. Most humans really treat themselves quite horrifically. You have crazy little dictators living in your heads, screaming at you all day long. What a horrid little monster. Isn’t it funny, that the more this inner dictator shrieks at you, the less you seem to actually accomplish? The little dictator is not your friend. He may claim to be screaming at you “for your own good.” It’s a lie. This voice is not your friend. Do you really want to get things done? Set a goal for yourself. Let it be something that is actually realizable. Something that you want to do that is good for you, that can realistically be accomplished. Like going out and exercising tomorrow. Or preparing a healthy meal. Or paying the bills. If you accomplish this goal, reward yourself. Choose the reward before you set out to accomplish the task, and let the reward be something that will feel good to you, but not be unhealthy. Obviously there is no point working out, then rewarding yourself with a milkshake. A reward can be as simple as letting yourself take a long nap, or cuddling your pet, or taking a nice bath. It can be watching a movie or TV show that you enjoy. Whatever it is, the reward is not “productive.” It is either relaxing, or fun. This is called positive reinforcement, and if you practice it consistently, you will put your inner dictator out of work. Really, your inner dictator is not intelligent. He is quite mindless, and destructive. Put your inner dictator out of work. Turn your mind into your ally, not your enemy. Instead of walking around with a little shrieking Hitler in your head, replace that voice with a warm, loving Mary Poppins. Who do you think is a better motivator, really? In terms of long-term, positive change? Put your inner Hitler out of work. Hire Mary Poppins. Reward yourself when you do a good job.